Vicky is a highly skilled, general commercial litigation solicitor and has extensive experience in all aspects of commercial litigation. She advises clients in commercial disputes across a broad range of activities. Relevant expertise includes personal injury matters, advising in the areas of product liability and consumer law (with particular speciality in the automotive industry), breach of contract and specific performance claims, enforcement of debts both secured and unsecured, professional negligence claims relating to valuers and architects and injunction proceedings for both plaintiff and defendant. Vicky also has experience in disputes concerning planning matters, as well as judicial review proceedings. She has extensive practical experience in the area of alternative dispute resolution. Vicky has also conducted a number of arbitrations and is very familiar with the arbitration procedure. 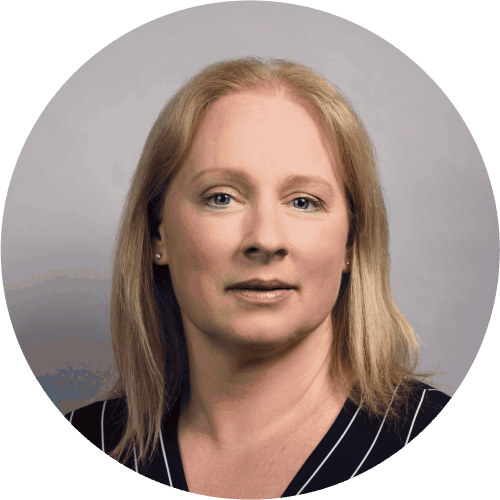 She has significant experience in all aspects of debt recovery matters and the various enforcement procedures and has been involved in numerous high-value debt recovery matters before the Courts including the Commercial Court division of the High Court. Vicky graduated from Trinity College Dublin in 1993 with a Bachelor of Arts degree. She subsequently qualified as a solicitor in 1999 and was made an associate in 2002.